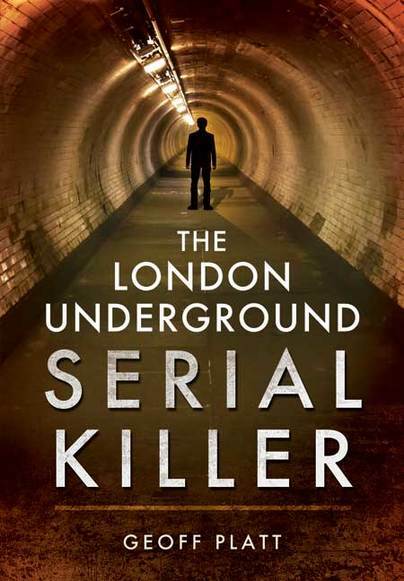 You'll be £0.99 closer to your next £10.00 credit when you purchase The London Underground Serial Killer. What's this? Fred West. Ian Brady. Harold Shipman. These names haunt the national consciousness and yet none was as prolific as the little-known 'Underground Killer', Kieran Kelly. Operating without motive or rationale he pushed sixteen souls to their deaths on the tracks of the London Underground, before vanishing back into the crowd. Geoff Platt has painstakingly researched the 'career' of Kelly, whose name may be unfamiliar even to those who study the minds and misdeeds of the criminal underworld. In a time of greater governmental control of the media, the case was hushed up, lest the residents of London be gripped by mass hysteria at the thought of a faceless killer lurking on the platforms of the Central line. Kelly's first victim was his best friend and could have been called a crime passionnel, as it was committed in the heat of an argument after an evening of heavy drinking. However when Kelly realised his crime had gone undetected he felt a rush of power which he sought to recreate again and again. The killer took delight in his apparent cunning – he often passed himself off as a star witness, who had been talking to the 'poor, depressed man about his unfaithful wife, when the train arrived at the station and he jumped underneath it'. The implications of Kelly's actions spread wide, leaving families unable to claim life insurance once the death was ruled as suicide. The officers involved in the case were a small, select cadre of elite Flying Squad and Serious Crime Squad Officers from South London, the same ones who had also been dealing with the Krays and the Richardsons. Their story is equally compelling, involved as they were in extreme, unusual and certainly unorthodox tactics. These intricate strands of a murky underworld weave together to make a fascinating, if gruesome, story. very interesting addition to the book – as well as being something I’ve never seen in any similar true crime book before – is the inclusion of an ‘appendix’ of all related serial killers towards the end. Platt offers a small summary of the crimes of 62 infamous British serial killers from relatively unknown names such as Trevor Hardy (the Beast of Manchester) to front-page killers such as Ian Brady and Myra Hindley. It’s useful for anyone looking to branch out after finishing Platt’s book. Kieran Kelly was a prolific serial killer who murdered at least 31 people in London over a 30-year period. He was a vagrant and often in prison on charges of drunkenness or theft. His career as a murderer began in 1953, with the murder of his best friend, and continued until 1983 when he was charged with the murder of a cell-mate. Kelly was more than willing to tell the police about his murders, after all they were a source of pride for him and he liked to brag. Geoff Platt spent months with Kelly, starting in 1983, investigating his claims. In the end, he was sentenced to life in prison and that is where he died. Geoff Platt has carefully recounted the life of Kieran Kelly, from his boyhood in Dublin to his final arrest in London, and the intensive police investigation into his murders. He details for readers Kelly’s methods and his motives. I found this account to be well researched and a very thorough presentation of the facts concerning this man’s heinous crimes. As featured on Crime Traveller. Geoff Platt is a freelance journalist who has written extensively for national newspapers on matters of crime and defence. As a former Police detective, he has unique access to records not usually available to authors and a huge network of contacts. His findings make for fascinating reading.